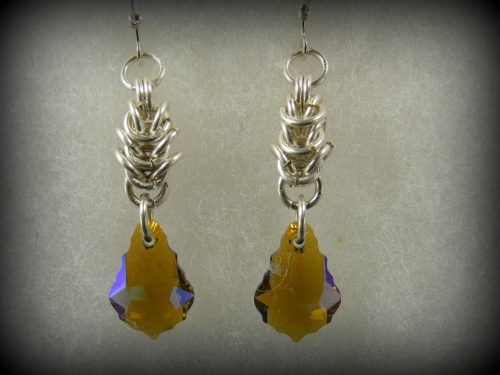 This pair of earrins is made from a technique called chainmaille that dates back to the days of castles and knights. Each chain is made from individual rings woven into a pattern that creates this box chain. Dripping with a olive green Swarovski Crystal making it sparkle more and more. Measures 1 3/4" long by 1/2" wide.